﻿ Quaker Oats+Milk gives healthy message at store! Home » Projects » IN-Store Marketing » Quaker Oats+Milk gives healthy message at store! Quaker Oats+Milk gives healthy message at store! Brand EvoSys has executed a range of pop items for the activation which includes approximately 80 FSU’s, innovative end cap branding, Window branding, lit end caps and parasites, side cap branding and bay breakers. 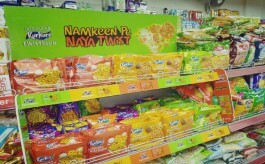 Quaker Oats+Milk, the nutritional beverage from the stable of PepsiCo India, recently rolled out an effective in-store activation on a Pan India basis. 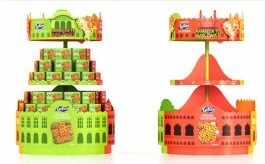 The product being an extension of the Quaker Oats breakfast portfolio they wanted to create a buzz in the different markets with a strong store level activation. They are being made available in two flavours – almond and mango. Brand EvoSys executed the brand activation throughout the modern trade, general trade and at SAMT (Standalone Modern Trade) stores in about 315 outlets across India. The campaign includes various forms of pop items like FSU’s, innovative end caps, lit end caps and lit parasites, window branding, side cap branding, bay breakers and such. They have deployed the branding materials at various modern trade chains like Big Bazaar, Reliance, ABRL, ABRL Super, HyperCITY, Tesco, Easy Day, at SAMT’s like Ratnadeep Super Market, Vijetha Super market, J Mart, Arambagh Food Mart etc..